As a physical therapist, the services and techniques you use are always personalized to your patients. Likewise, your website should be customized to your clinic, with characteristics and features that reflect the heart of your practice. At Optimized360, we build custom physical therapy websites from scratch, paying the utmost attention to the details on every site. With beautiful graphics, a user-friendly layout, and fresh content, no two websites are ever the same. Our goal is to help your physical therapy practice stand out from the competition. We offer area exclusivity, and our customers always retain ownership of their sites and design. Through your continued partnership with Optimized360, you can benefit from local marketing, advanced SEO, and ongoing updates that can keep your site relevant for viewing on multiple web platforms. 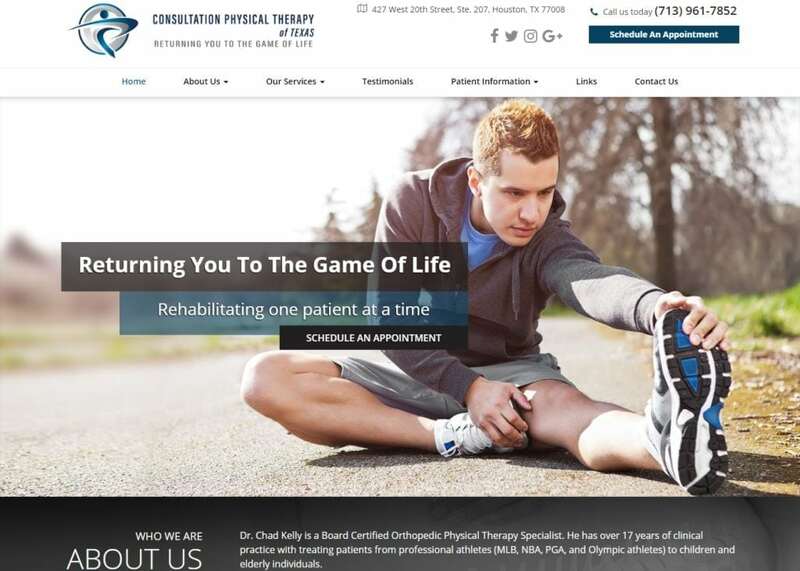 To find out more about what a personalized physical therapy website can do for you, contact our team today.